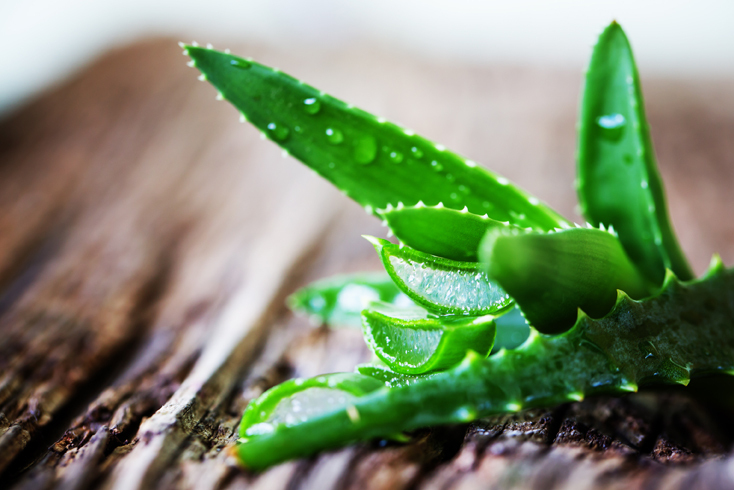 All of Terry Laboratories products are made from the Aloe barbadensis species. Our Aloe Vera is harvested every 6-8 weeks by removing 3-4 leaves at the base of the plant. Our large exclusive supply of Aloe plants allows the hand selection of only the freshest Aloe Vera leaves. Once picked, most Aloe is filleted, not squeezed, to remove the inner gel [.5% Aloe Vera solids]. The fillet is carefully removed to minimize disruption of the Aloin layer. Then the product is further processed to remove the pulp and fiber. The product is pasteurized to maintain efficacy. Finally, the gel is filtered and stabilized through a specially designed proprietary process to maintain color and is preserved using globally recognized food grade preservatives. Other leaves are left whole. The whole leaf is 1% Aloe Vera solids and consists of the entire leaf including the rind and internal portions of the plant. The whole leaf process requires you to cut off both ends and each side of the leaf. Our proprietary process allows us to produce whole leaf concentrate with no residual aloin. Aloe Vera is a natural substance that contains an estimated 200 biological active molecules. Together, these active substances perform as an “orchestra” with their biological activities complementing each other’s individual therapeutic value. This biological activity degrades rapidly after harvest unless the Aloe is stabilized within two hours. Processing Aloe within this Critical 2-hour Window is the ONLY WAY to ensure that the product is preserved at its peak. Terry Laboratories is the ONLY Aloe concentrate manufacturer with this capability. At the Terry Laboratories plantation and processing plant in Mexico, Aloe Vera is picked and processed on-site and on-time–within the Critical 2-hour Window. Our NaturLOCK System® Processing is based on irrefutable AND irreversible realities in nature. Unlike other manufacturers who must purchase their Aloe Vera from many different sources and truck it to distant manufacturing plants, Terry Laboratories Aloe Vera is processed into gel at the same site as our fields in our state-of-the-art processing facility. The raw gel is then concentrated from its natural state of 1X or .5% Aloe solids to 10X or 5% Aloe solids utilizing heat-free reverse osmosis to produce a concentrate which saves on shipping and handling. The Aloe is then shipped under refrigeration to our state-of-the-art manufacturing plant in Melbourne, Florida. • Aloe Moist – An after sun skin care gel product that easily soaks into your skin to increase moisture. • Shea Butter and Organic Shea Butter – Karite nut extract from Africa. Multi-purpose base product is most applicable for facial, hand and body care products as well as for lipstick, makeup, sunscreen formulations, and preparations for sensitive skin. Goes into skin easily and helps scars disappear. Shea Butter is also available in an organic version. • Shealoe – Aloe Vera and Shea Butter whipped together in equivalent quantities and used as a finished product or incorporated into skin moisturizers, creams, or most topical skin care products. 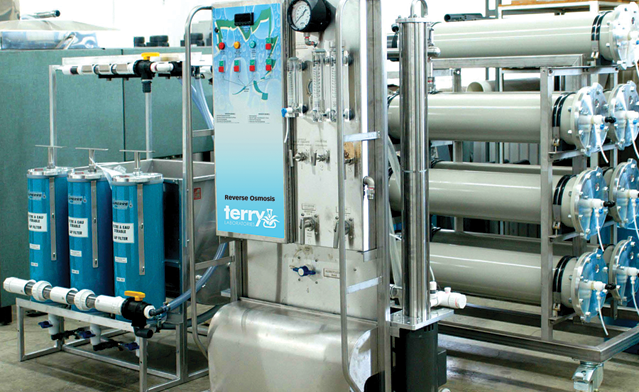 Terry Laboratories employs the latest technology and safe guards to facilitate proper handling and control at every stage of production. We test and document each and every production run pushing quality well beyond industry certification levels.